If you or a loved one experiences age-related memory changes, it is easy to panic and fear the worst – Alzheimer’s disease. Alzheimer’s is now the number three cause of death in the US, after heart disease and cancer. As the so-called Baby Boomers all start to reach 50 to 70 years of age, the number of people suffering from Alzheimer’s is likely to increase. However, it is important to note that not all memory issues are dementia or Alzheimer’s. Some can be caused by stress, drinking too much alcohol, not getting enough sleep, or taking any number of over-the-counter and prescription medications that are known to affect memory, such as allergy medicines, antacids and antidepressants. If you have tried to help your loved one to modify all of these and other important lifestyle factors but they are still showing signs of age-related memory loss, it might be time to learn more about dementia. What is it, and how are dementia and Alzheimer’s different? 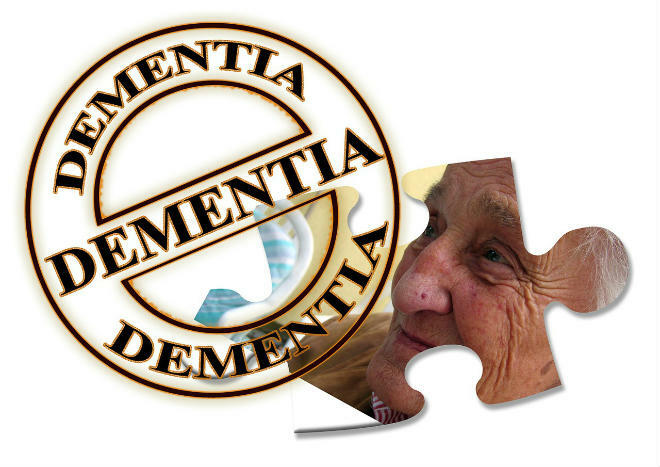 Dementia is a form of brain dysfunction related to aging. It is a progressive condition that will worsen over time unless steps are taken to try to maintain mental ability for as long as possible. This can be achieved through a range of activities and also medications. The first sign of dementia is usually forgetfulness that will increase in frequency and type. Your loved one might not be able to find their keys, can’t remember how they got into a room, or whether they took their medicine recently. A visit to the doctor should reveal if any of these signs are symptoms of dementia or some other health issue. The doctor will use a scoring system and evaluate whether there is no dementia present, slight abnormality, or stage 1, 2 or 3. Depending on the stage, you would work with your doctor to come up with a treatment plan of drugs and a new routine. Over time, your loved one might not be able to do all of their regular activities of daily living such as washing, dressing and so on, but this is usually only in the advanced stages of dementia. Some signs of what seems to be dementia can be related to other health issues. For example, not being able to find keys could be the result of vision loss. A person not responding to you in conversation might be due to hearing loss. Dementia is usually not fatal in and of itself. Death may be a result of dementia-related accidents instead of the actual condition. Some people can show improvements in their condition, and it is possible to learn to function quite well with it. Alzheimer’s is a particular form of dementia that is caused by protein clumps on the brain known as amyloid plaques. Alzheimer’s manifests in seven stages, each one marking a progressive decline in mental functions and the ability to carry out activities of daily living on their own. At the beginning of Alzheimer’s, the symptoms are similar to dementia. Over time, however, the decline will become worse and death usually occurs within five to seven years. Alzheimer’s is the most common form of dementia, accounting for 60% to 80% of all cases. Having said that, not everyone with mild dementia is diagnosed, as compared with the more extreme symptoms and manifestations of Alzheimer’s. Alzheimer’s is most common in those over 65. The plaque in the brain results in the nerve cells dying. Sufferers will eventually forget how to do things like dress themselves, go to the bathroom on their own, eat, and so on. Alzheimer’s is dementia, but not all dementia is Alzheimer’s. Make sure you get an accurate diagnosis so you can come up with the right treatment plan for your loved one. Strange Changes: Could My Loved One Have Dementia? Acid Reflux, Heartburn Due To Western Food Culture?